1) Pour the peach juice about halfway into the ice lolly moulds, add a few of the raspberries and freeze for around 45-60 minutes until slightly frozen. 2) Insert the lolly sticks, top up the remainder of the moulds with juice and raspberries and freeze until completely set. 3) Once the ice lollies have frozen, place the moulds in a basin of hot water fro 30 seconds and they should come out easily! 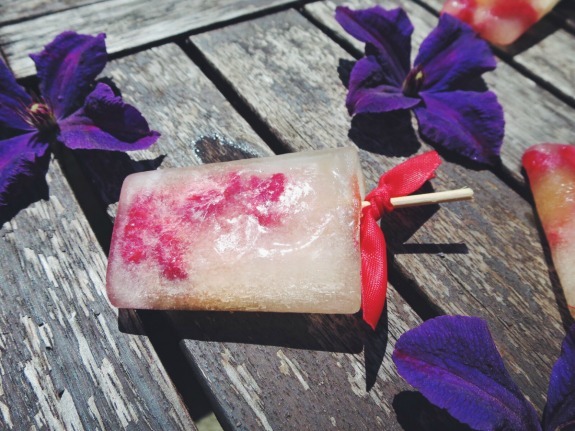 Have you made ice lollies before? It looks super tasty and healthy! plus fresh, great for summer! I remember doing this kind of ice creams in childhood. 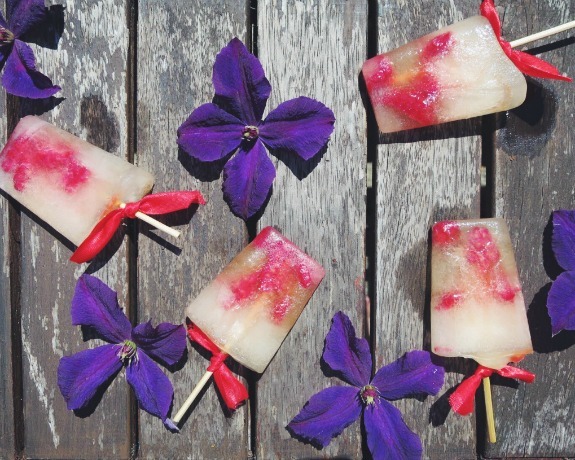 I haven't made ice lollies since I was a kid but these look so yummy plus they're healthy! These are lovely pictures and they sound absolutely delicious! 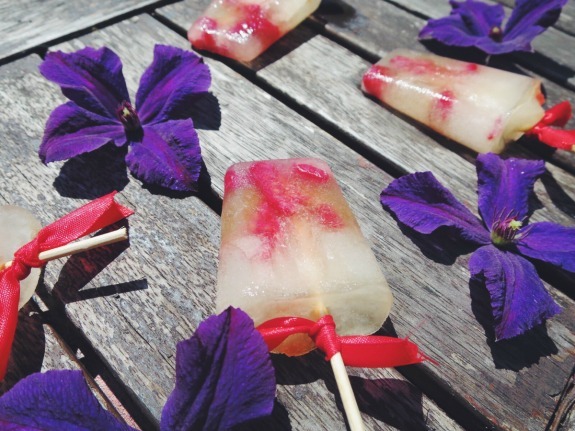 I never made lollies, but these ones seem to be so good! Perfect for a summer day, very refreshing! I love lollies, by the way! Hope you have a great evening! They look delicious and so pretty too! Amazing idea! so simple and cool! 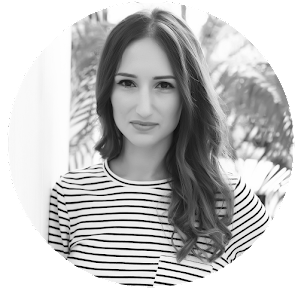 thanks for sharing - off to my kitchen! How yummy and fresh does these look? Thanks for sharing, babe! What a great recipe, they're look amazing!